Tonight I will share a couple very simple techniques for cleansing, energizing and protecting your aura. After that, I'll share a card that we can all try from the Reiki Techniques deck. 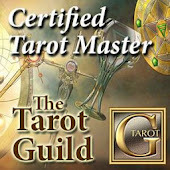 Finally, I will be giving free oracle mini-readngs to the chatroom using Doreen Virtue's Magical Unicorns, Ascended Masters and Angel Therapy cards.